Fabric type influences the durability of a windsurf travel bag. In general, for bags that are destined for significant wear and tear we recommend polyester 600D as the more durable option. 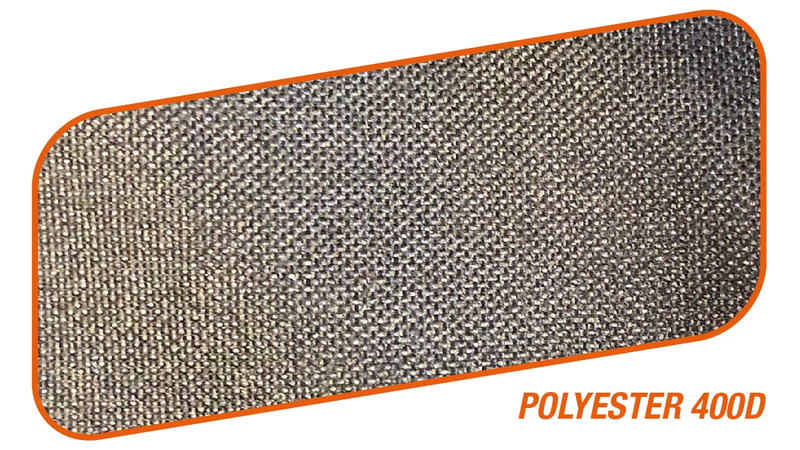 Polyester 400D is better suited to lighter gear. Water repelling polyester does match the same mechanical properties as polyester 600D, and is not completely waterproof, but it does offer the advantage of not soaking up as much water when compared to regular polyester 600D. 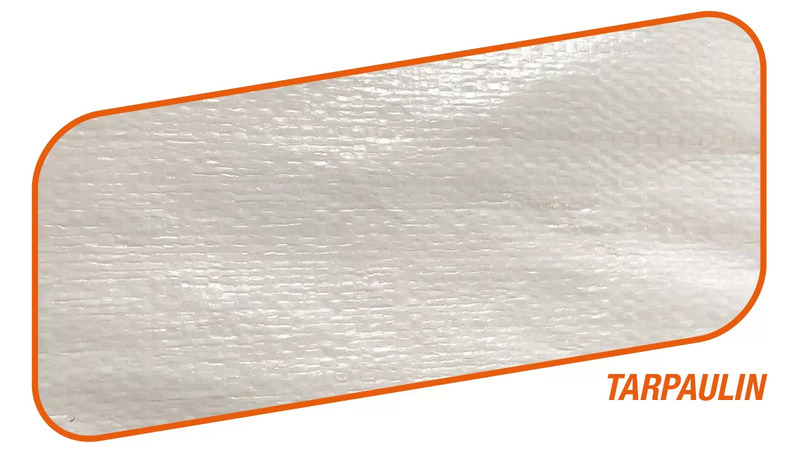 Tarpaulin used on Unifiber bags is higher quality and more tear resistant then standard quality's tarpaulin. It is a light and economic choice of fabric. 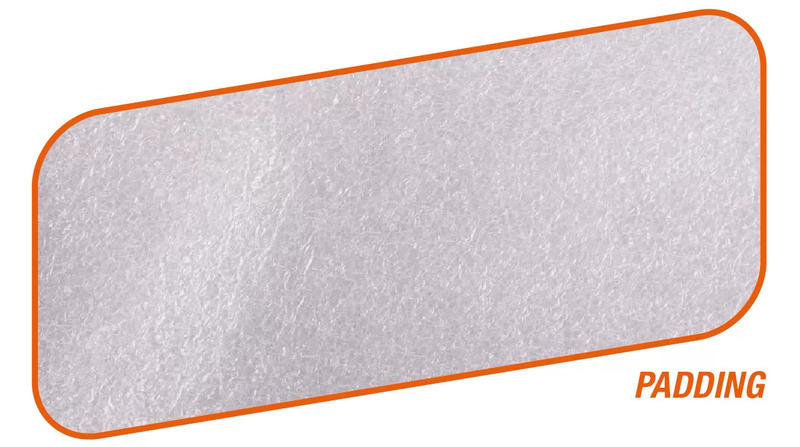 A soft foam padding material is used in travel bags for additional protection. 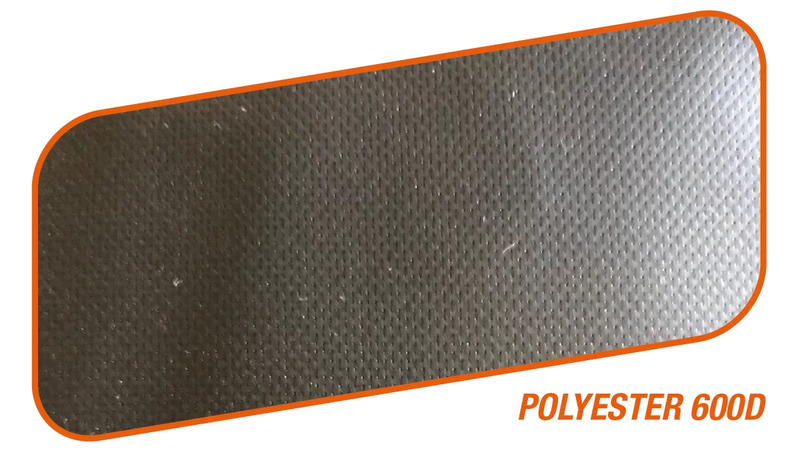 Padding thickness varies and is usually 2, 4, 6 or 8mm - the thicker the padding the more protection. 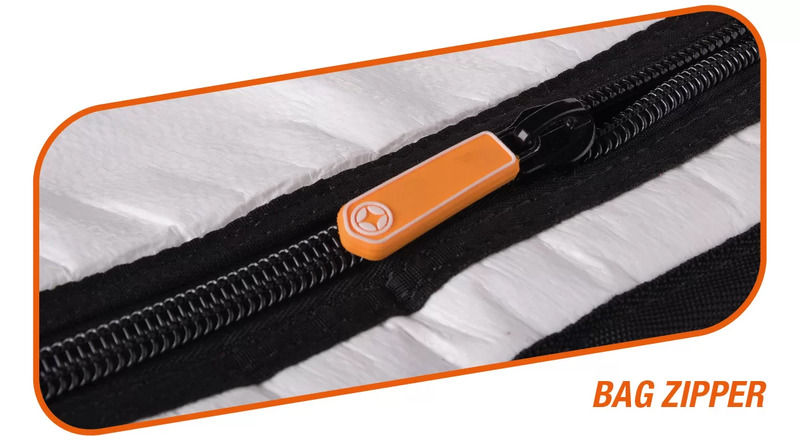 In general, wider zippers have better strength. Zipper number (#) refers to the width across the zipper teeth when closed. For example a #6 zipper is 6mm across, a #8 zipper is 8mm across, etc.